KCL ISOC Welfare in collaboration with Inspirited Minds invites you to its first event of the academic year. There is a significant chance you know someone suffering from mental health issues. But here’s where the problem lies – many of us know how to talk about physical illnesses, the symptoms, the cures. Not many of us have an understanding of mental health problems, their prevalence, recognising them – or simply how to speak to someone suffering! 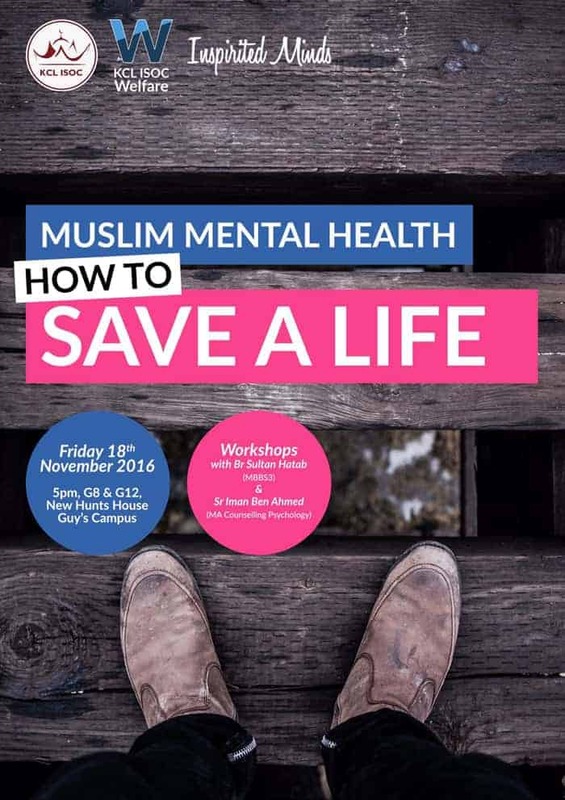 In two independent workshops for Brs and Srs, we’ll be discussing mental illness from the Islamic perspective, recognising mental illness, how to speak to/deal with with a friend with mental illness, as well as how to best support them. You can learn not only how to be there during the tough times – but also how to prevent times from getting worse. Attendees will be provided with refreshments, and a booklet with a breakdown of the support you can provide to support a friend. 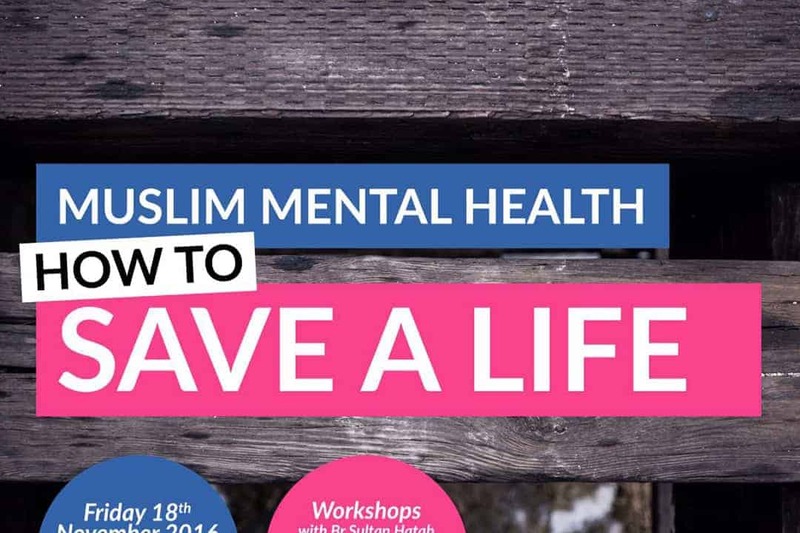 It’s time we started active discussions, in order to support those with mental health issues in the Muslim community. It’s time we take heed of these issues the way we take heed of physical illnesses. Muslims are a united ummah – so it’s about time that we explore our role in supporting each other through the tough times. Next PostCan Muslims believe in Evolution, deny science, and support Freud?